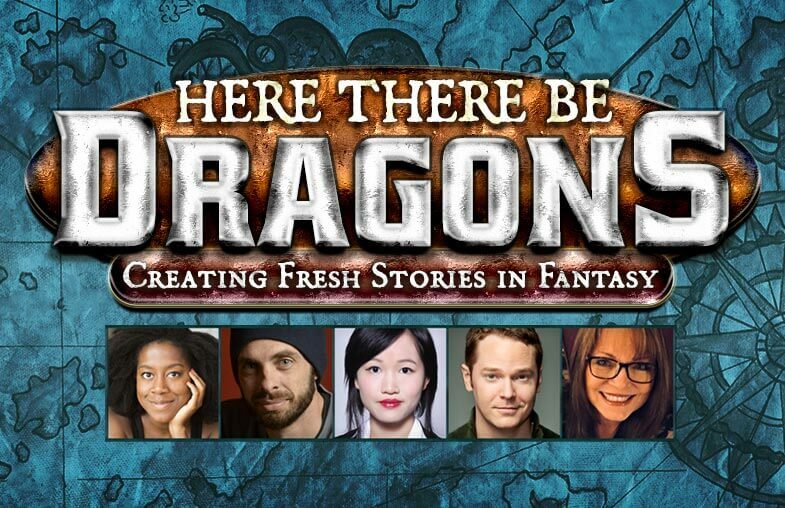 At this year's San Diego Comic Con (basically the world series of pop culture and geekery), Fictitious host Adron Buske presented and moderated the panel "Here There Be Dragons: Creating Fresh Stories in Fantasy". The panel — held Thursday, July 19, 2018 at 7:30 in the evening — drew a huge, excited crowd to the large 24ABC event room. Our featured guests speakers were Tomi Adeyemi (Children of Blood and Bone), Robert Jackson Bennett (Foundryside), Jason Denzel (Mystic Dragon), R.F. Kuang (The Poppy War), and Mary E. Pearson (Dance of Thieves). The official panel description: Every genre has its tropes, and Fantasy has many: swords and sorcerers, castles and cavalries, dungeon crawls and dazzling dragons. But with more than a century of fantastical storytelling behind us, how does a writer deliver fresh, exciting ideas while giving readers what they want and expect? 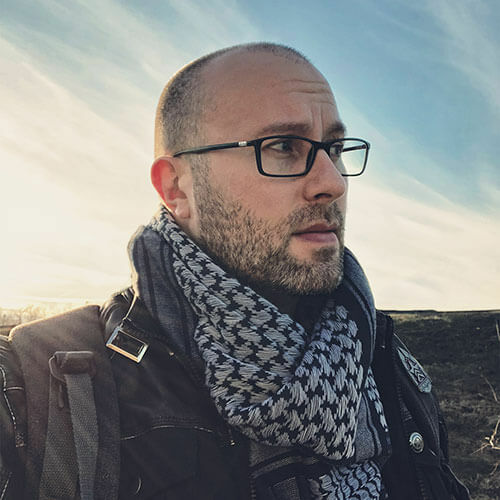 Adron Buske (host of the Fictitious podcast) talks with a group of professional genre authors about writing to market, how to subvert cliches and expectations, and blazing new trails on the well-trod map of Fantasy. It's an excellent and enlightening conversation. And since Jason Denzel, R.F. Kuang, and Robert Jackson Bennett were the first three guests on this season of Fictitious, it feels like a good time to share the discussion from SDCC.